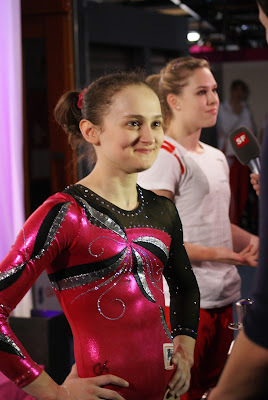 Belgian Gymnastics: Julie Croket is ready for the next chapter of her life! Julie Croket is ready for the next chapter of her life! 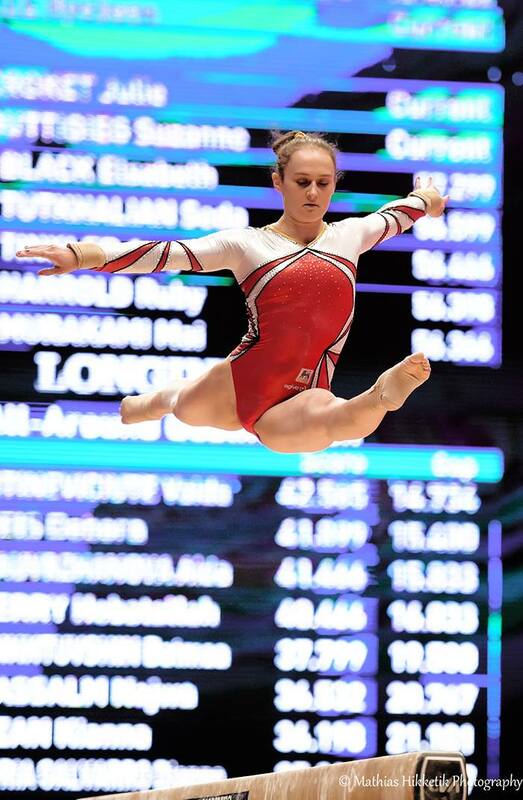 On Sunday October 9, European and World team member Julie Croket announced her retirement from elite gymnastics. But she's not leaving the sport quite just yet. Julie will now be coaching, she'll help train Belgium's next stars! Julie Croket has been one of the key players in the rise of the Belgian team in the past 8 years, when she turned Juniors, in 2008. She quickly made a name for herself and was seen as Belgium's next big name. As a Junior, she was sent to the Juniors European Championhips and earned international assignments, such as the Top Gym or the EYOF. At that time, there were no doubts Julie would have a bright future ahead of her as a Senior. She turned Seniors in 2010. And she was then a lock on the National team. She competed in 4 World Championships and 3 European Championships, where she regularly made finals, individually or with the team. She was also part of the team that was sent to London for the 2012 Test Event, where Belgium fell short on earning a team ticket to the Games. Julie was then considered a favourite to earn Belgium's individual ticket. And she was indeed chosen before an ACL tear prevented her from travelling to London, just a few weeks before the start of the Games. It was such a hard time for her. She could have just quit back then. But she didn't. What amazes me most about Julie Croket are her fire and determination, but also the love she has for the sport. So she continued, fighting hard to come back at her best level. She made the World team once again in 2014, where Belgium achieved its best ranking ever, an 11th place. She continued her quest of an Olympic berth in 2015, when she qualified for the World Championships in Glasgow, just a few weeks after spraining her ankle at a friendly meet in Mouscron. The girls brilliantly qualified for the Test Event in Rio, where Julie helped the team win the bronze medal and an Olympic ticket, a first for Belgium since 1948! They trained so hard for this moment, and the qualification had a taste of redemption for Julie, after many years battling injuries. She put all her heart and effort in each of her routines, where her smile is always such a pleasure to witness. Her last competition was the Dutch Open, back in June, where she competed on bars and beam. She was then named one of the alternates for the Olmpic Games in Rio. After a very successful career as a gymnast, it is now time to move on for Julie! But she won't leave the sport quite just yet. She will now embrace a coaching career and will help train the next generation of Belgian gymnasts! Julie Croket was one of the best gymnasts Belgium ever had and she will truly be missed, not only by her teammates and fans, but also by a lot of international gymnasts around the world. Julie, thank you for everything you've done for the sport and for Belgium. You made us really really proud! Good luck for what comes next!